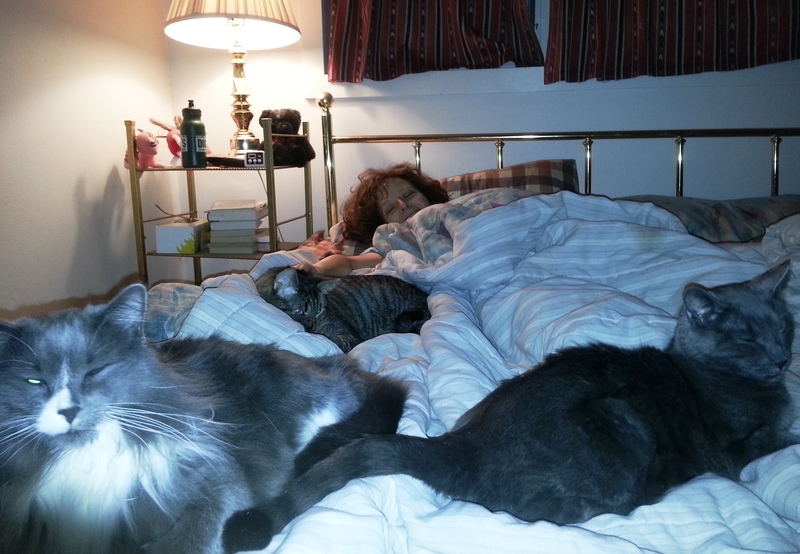 As you can see, there are three cats on the bed: Chewie, Tigger and Junior. 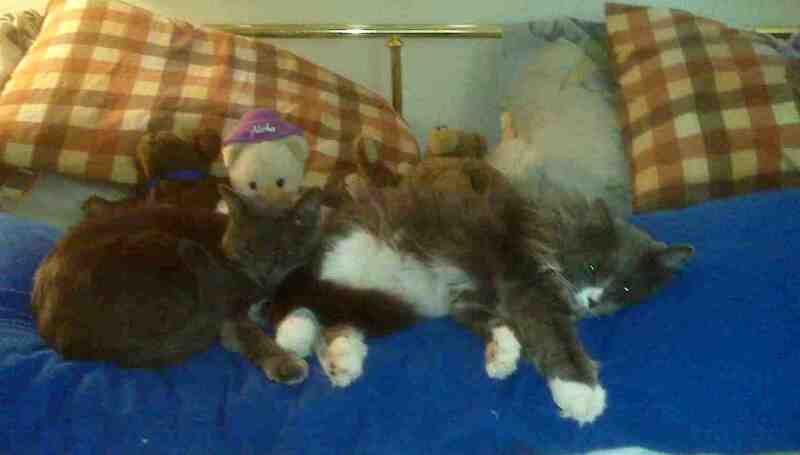 The significance to this is that both Junior and Tigger are sharing space in relative close quarters! You would never have seen this six months ago. Since the beginning of the year, Tigger not only has been frequenting the sunroom and den much more regularly, he does so regardless of which cat might also be present. Yes, there is still a bit of spatting between Tigger and Junior , but this is balanced with a seeming reluctant acceptance, finally, of each other’s presence. Now, if cats can ultimately learn to accept the existence of each other and perhaps live in a tenuous harmony, what does that say for the potential of us mere humans? We may not like everyone we meet, but does that really matter? I think it’s possible. At least I hope so.